What is Store Information? How to Enter Your Store Information? This article today will show you a quick introduction of Store Information in Magento 2. Store details are the fundamental information consisting of the store name and address, telephone number and email address which show up on email messages, invoices and other communications sent to your customers. Store details section allows admin to define basic data about the online shop, which ensures that the store information is clear and the store is recognized. Select General under General section in the left panel. Type the Store Name that you intend to use in all communications. Enter the Store Phone Number and customize its form as you want to display. Insert the hours your shop is open for business in the Store Hours of Operation section. (For instance: Mon – Fri, 9-5, Sat 9-noon PST). Choose the Country where your store is placed. Tap the Region/State with the country. Enter data in Zip/Postal Code and City fields if necessary. Type the Store Address. In case the address is long, continue the address on Store Address Line 2. Insert the VAT Number of your store if applicable. 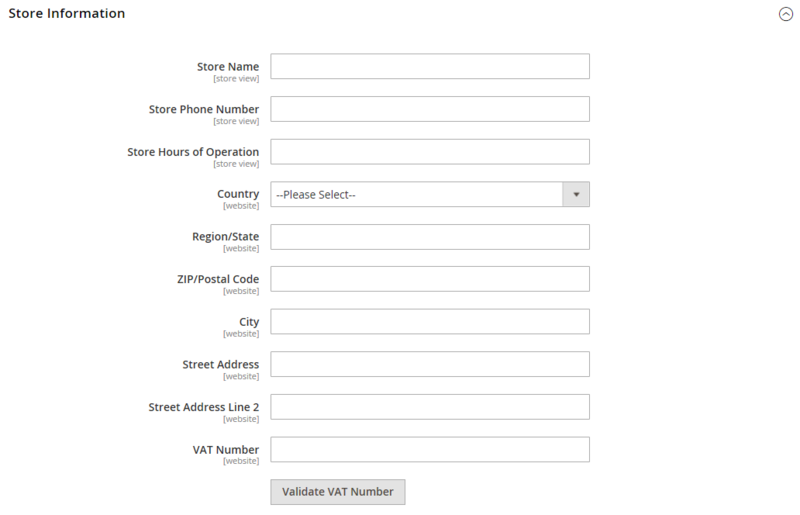 Tap the Validate VAT Number button to check the number. Click Save Config to finish all the steps. Provided above is the introduction of Store Information part in Magento 2. If you want to add or erase any item in this FAQ list, feel free to contact us. Don’t forget to Like, Share, and Subscribe to Magestandard for more informative Magento extension review articles. Next Next post: What are Related Products, Up-Sells, and Cross-Sells in Magento 2?